Some ecommerce sites are way more successful than others in getting conversions from their site visitors. While this can, in part, be attributed to brand and name recognition, as well as how long the company's been in business, a bigger part of this is directly due to ecommerce best practices. This refers to how the information on the site is laid out, how the navigation is planned and how the user experience is designed. Every site can try to sell something, but not every site can do it well, frequently and consistently. The registration process takes time away from your client's customers, time that they'd rather spend shopping on an ecommerce site. So when designing any ecommerce site, exclude a registration process and thereby improve the conversions of your shoppers. See, you have to understand the shopper's psychology in such a case. People today are more instant-gratification than ever, particularly on the Internet, when just one click can give them what they want and are looking for. So don't hurt your client's business by including a registration process on its ecommerce site. Instead, give people (especially new shoppers) the opportunity to go right through to checkout without registering. Then, give them the choice to register after the purchase. Studies have shown that this approach works to increase profits. An example of a famous site that already does this is Amazon. Note how Amazon lets new customers only create a password later on for potential registration? Including a search function in your design for a client's ecommerce site should go without asking. It's part of sensible site navigation that allows a customer to find what he wants easily and efficiently. Sometimes, customers know exactly what they want to look for and don't want to waste time going through an ecommerce site's various layers of navigation before coming to the product category they want! A search function is particularly useful for a huge ecommerce store that has a plethora of products that it's selling. Check out Overstock's search bar. Site visitors can't help notice it, as it's placed at the top of the homepage and dead-center on the screen. These days, with news of Target customers having their personal information compromised, site security is more crucial than ever. Assure your customers that your site security is tighter than Fort Knox, and retain your customer base. Fail to assure them, and your site may go out of business. Customers have a right to feel that the personal information and credit card numbers they enter into your client's ecommerce site won't be compromised. To ensure they feel at ease, your site design should prove to them features are in place to protect their personal data. It's recommended that you install a trust certificate from Verisign or HackerSafe on the client's ecommerce site. This way, shoppers have peace of mind, and your client wins, too. One of the reasons that ecommerce sites fail to get as high a conversion rate as owners want is due to abysmal site navigation that really only takes a small fix to get right. Much of the time, the positioning of the navigation bar or menu can make a real, big difference when it comes to getting shoppers to make a purchase. This only stands to reason, though. After all, if you can't find what you're looking for in a store, you're bound to get frustrated (we have such little patience these days) and then leave. The same thing is true for any ecommerce site. So the solution is to position the navigation bar horizontally, at the top of the screen, or down the left-hand side of the page. If you want to go the extra step, make your navigation bar sticky so that the site visitor can always see it as he scrolls down the page. A neat example of the sticky navigation bar can be found on Carrera's site. Carrera is the Italian maker of stylish sunglasses and sports eye-wear. 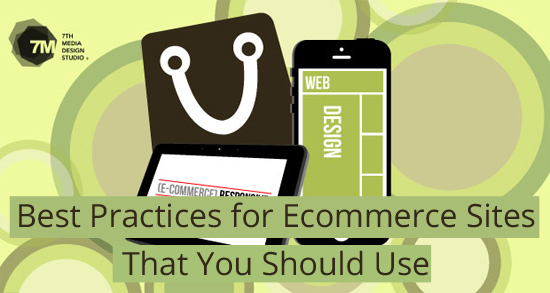 By implementing the above best practices, you'll be off and designing high-converting ecommerce sites for all of your clients. Ecommerce is the melting pot between consumer psychology and web design, so naturally you'll have to know more than just how to code a site properly! A good ecommerce site is one that accomplishes its goal of getting as many conversions as possible. Shoppers these days are very instant-gratification. This means that they'll gladly leave your ecommerce site if their user experience isn't what they expected or they came across some form of friction in the checkout process. Do yourself and your clients a favor by increasing the retention rate of buyers by adhering to these best practices the next time you're working on an ecommerce project. Do you have any other ecommerce-design tips that we missed out on? If so, feel free to bring them up in the comments section, conveniently located below. Marc Schenker is a freelance writer, blogger and editor who's written on web design, conversion, photography and entertainment. You can find out more about him on marcschenkercopywriter.com.